As you are probably aware the MCC isn’t only about cricket and footy. The world’s largest club also fields teams in other sports including real tennis. The Demons got smacked by the Blues on Friday so not much point in hanging around the MCG. A team of five consisting of stalwarts Paul Wheeler, Henry Turnbull and Fred Kininmonth and relative tyros Greg Reid and Michael Carroll makes the journey west to play us. Good grief … MCC beats us 5-3 and they don’t even have a court to call their own. Hobart beat us last month and they didn’t even send up a team. 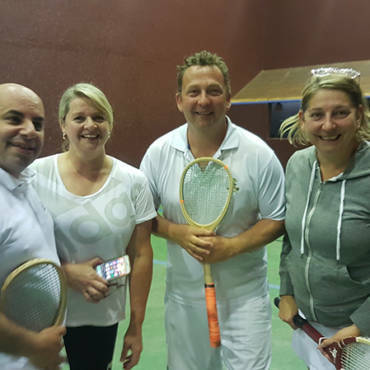 Is this the new virtual age of real tennis … where a Club doesn’t need a court or a team to play … much less to beat us? I worry that next I’ll be twittered that we were beaten by the local Bridge Club or the Liberal Party … and I didn’t even know we’d played them.